This entry was posted on September 21, 2011 by joeleagle. 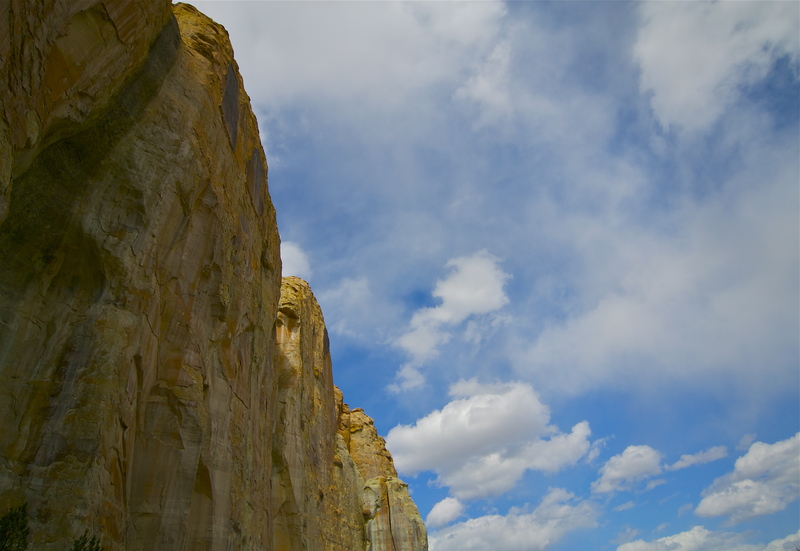 It was filed under Landscape, Nature and was tagged with New Mexico, Sheer Cliff. You are expanding my visual horizons beyond flowers…..this photo is so lovely to look at with its clarity, texture and color. It makes me relax (and let me tell you, it’s been a helluva day so far!